Lizz Carter is a Los Angeles based Native American and English actress. Originally from Oklahoma, Lizz began her professional acting career at a young age performing in stage shows and commercials. 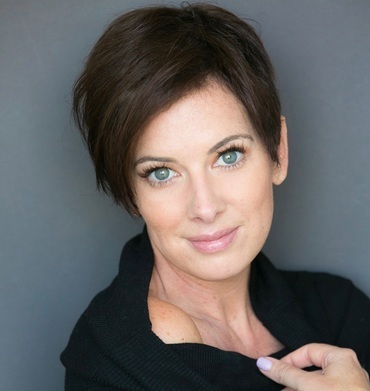 After obtaining a BFA in Acting from The University of Southern California, Lizz furthered her pursuit of television and film, which has provided her opportunity to work with talents such as Anna Faris, Billy Bob Thornton, John Heder, Jason Alexander, Hank Azaria, Sadie Calvano and others. Lizz can been spotted on "Young and the Restless", "Baby Daddy", "Jane the Virgin", "Nashville", "!Huff", and more. She was also part of the Emmy award winning show "FEUD!" on FX where she played British actress Margaret Leighton, working alongside Susan Sarandon as Bette Davis. Additionally, the family movies "Breaking Legs", "Catching Faith" and "Pop Star Puppy" are all now available on Netflix and Amazon. Lizz has been part of award-winning films at both Sundance and the Toronto Film Festivals, and has worked with award winning directors Ryan Murphy (Glee), Todd Philips (The Hangover), Richard Linklater (Boyhood), Scott Wynant (Californication) and Eric Kripke (Revolution) for Paramount, Warner Bros, The Weinstein Company and MGM. Lizz is also a public speaker with a passion for encouraging young women to know their worth. She founded the non-profit College Moxie which encourages collegiate women to raise the bar on campus culture. In her spare time Lizz enjoys traveling, hosting dinner parties and making people laugh.